Last year we told you about R.C. Sproul Jr.’s 12-part teaching series and curriculum, Economics for Everybody. We are now pleased to announce the documentary, Economics Has Consequences, an abridged version of the original 12-part series. In this uniquely entertaining exploration of economics, R.C. Sproul Jr. introduces basic principles of economics such as stewardship, civil government, work, wealth, and entrepreneurism. He then explores the impact of government intervention on education, the money supply, welfare, depressions, markets, and more. With each succeeding example, it becomes evident that economic freedom is directly related to religious freedom, and that the loss of one inevitably leads to the loss of the other. Now until the end of March, we are streaming Economics Has Consequences on YouTube and Vimeo for free. 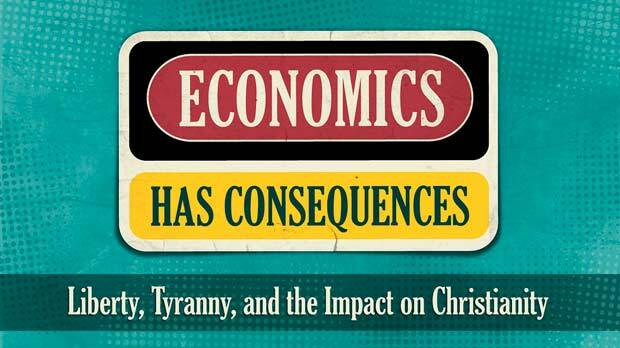 Economics Has Consequences can be ordered on DVD from the Ligonier Store. The full curriculum, Economics for Everybody, is also available.